The 2012 Living Future Conference was held in the bike mecca of Portland, so how could I not bring along the Cannondale beater, which Amtrak stashed onto the baggage car for an extra five dollars. The train from Seattle to Portland is a magical ride, slicing through hidden back alleys, skirting the spectacular edge of Commencement Bay, and finally crossing the Columbia before rolling into cozy Northwest Portland. Luggage on my back, I pedaled out into the drizzly shiny night, careful to keep my tires out of the street car slots, while the quick, mellow ride to my hotel near Powell’s Books reminded me once again how amazingly comfortable and convenient downtown Portland is without a car. Not to be outdone, McLennan proposed a new four letter theme word for this year’s conference: love. The essence of Living Future is regenerative design, the idea that design should develop the potential of whole systems and empower them to regenerate and evolve indefinitely. A lofty and challenging aspiration, no doubt, one that calls for nurturing intricate webs of relationships, recognizing the interdependence of all life, and eliminating our tendency to see ourselves as something separate from nature. And love is an apt choice of words to capture the core sentiment of that philosophy. It’s analogous to what wise parents know about their children: You can’t make them do what you want them to do, but you can give them everything they need to grow and realize their full, natural potential. Places can be thought of in the same way. 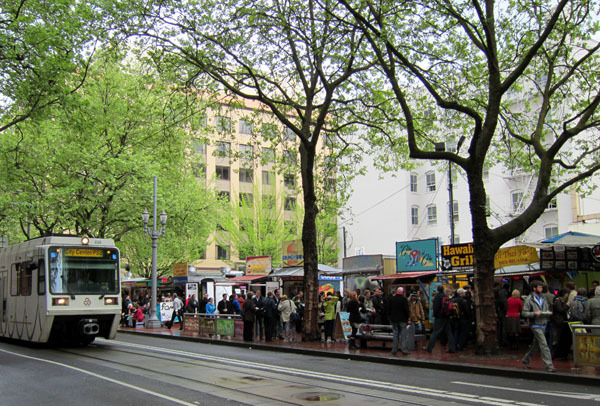 In Portland the exceptional energy and care that has been put into improving the public realm and promoting walking, biking and transit should help unleash the City’s potential to become a regenerative place with the capacity to evolve in powerful, unforeseen ways. 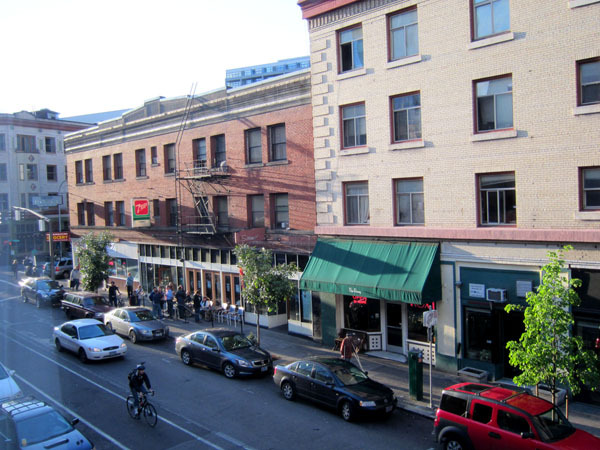 It will probably be a decade or more before we know the extent to which Portland’s investments help create a more resilient, culturally and economically thriving city. But when I’m in Portland these days I love what I see so far. Reductionist analysis has enabled spectacular human progress over the past few centuries, but has also put us on a collision course with the carrying capacity of our planet. Restoring balance calls for shifting our emphasis to relationships, patterns, and systems, a shift that would be all the more likely if we reframed our outlook through the lens of love. Not that this would be an easy task for a society with the habit of ignoring whatever doesn’t show up in the economists’ balance sheets. Indeed, the most elevating things in life—social bonds, fulfillment, memories, dreams, dignity, devotion—cannot be accounted for in the analytical bottom line. And we’ve been so obsessed with the quantifiable for so long it’s almost impossible for most of us to imagine how these intangibles could play an influential role in the major decisions that shape our world. But we ought to start imagining it if we hope to steer our course away from the brink and toward a regenerative future. Dan Bertolet is an urban planner at VIA Architecture and the creator of Citytank. 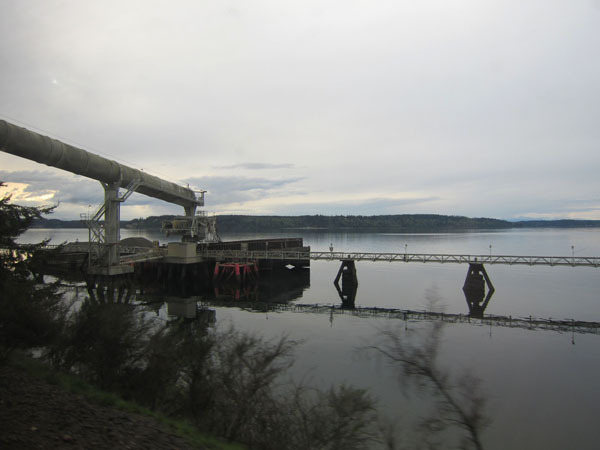 Washington State DOT’s Deep Bore Tunnel (DBT) proposed beneath Seattle comes with potential for catastrophic failure. The 240+ buildings directly above, including Harbor Steps, become terribly vulnerable to severe damage and even collapse in major earthquakes predicted. The soils through which the DBT passes are highly unstable, watery soft fill soil types that develop voids and sinkholes over time and liquify in earthquakes. Surface street reconfigurations related to the DBT are ALL expected to make downtown traffic much worse with accidents more numerous and more severe through Queen Anne, Lake Union, Denny Way, Alaskan Way, Western and 1st Aves. Current designs for the new Waterfront are thus far flambouyant nonsense and more bad engineering. Seattle’s waterfront development interests should NOT be so casually unconcerned. Dismiss James Corner Fields and Company. The cut/cover tunnel alternative now depicted in the FEIS was not released for public review until 2009, though it was ready in the 2007 voter referendum and considered from the start. Yet, of all the cut/cover tunnel options, this last one is the only one that could be constructed while the Alaskan Way Viaduct (AWV) remained up and operating and is thus “least disruptive” to waterfront activity. Why did Wsdot keep the least disruptive cut/cover under wraps? This ‘stacked’ 6-lane cut/cover forms a dam-like seawall. It removes 80′ of waterfront fill soils, solidifying the remaining soils further east. The recent seawall proposals (the cheap row of concrete polls and “stabilization”) are both questionable engineering. The incline being constructed to install the bore machine AND form the tunnel’s south portal ramps, applies to this ideal cut/cover alternative as well. Mayor McGinn had little to base his opposition on but gut instinct as Wsdot and SDOT directors concealled critical engineering perspective and unlawfully rigged studies to affect predetermined outcomes. Wsdot studied surface/transit alternatives with 27 to 30 stoplights, but not the options with 9 to 13 stoplights. Cut/cover tunnel studied, rigged. Reconnecting the Aurora grid, a good thing, can be achieved while retaining the Battery Street Tunnel and access to Lower Belltown. The tremendous potential of Mercer East is lost with Mercer West. Closing the Broad Street Underpass too should not be considered until after its ideal usefulness is determined with Mercer East. Ex-SDOT director Grace Crunican was “dismissed” from her position as ODOT director in 2000 for willful violations of federal ADA and State code regarding the Ross Island Bridge surface, sidewalk and ballustrade rebuild project. I regret having to make these charges of alarm, incompetence and corruption, but Seattle is in horrible danger and must be warned. If the DBT is installed, there is no way to correct its inherent destabilizing affect on historic downtown building and tower foundations. Forced demolition of many buildings is inevitable and terrifying collapse too possible. I hope this letter impresses upon you the extent of the risk your DOT directors accept to avoid any inconvenience to waterfront business activity.